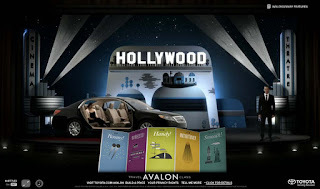 The Auto Marketing Blog: Toyota Avalon: Now That's Entertainment! 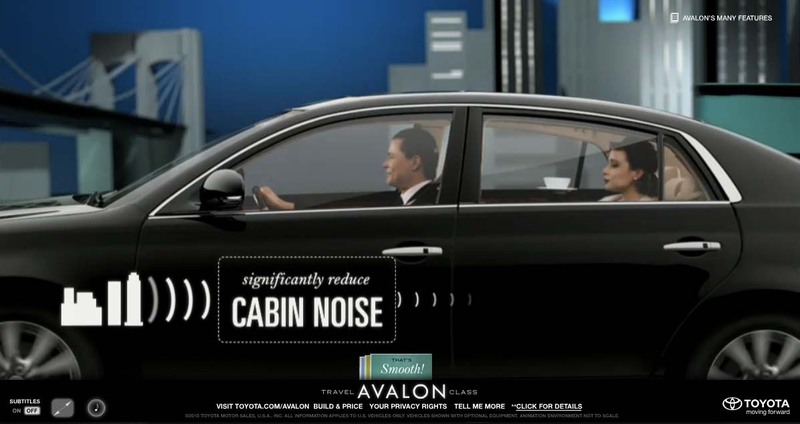 Toyota Avalon: Now That's Entertainment! When the average age of your customer is 66 years old, you have to get a bit creative to get some youthfulness into your marketing. 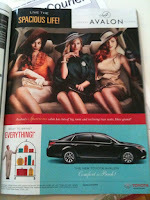 This month’s Car & Driver has a full-page ad for the Toyota Avalon. 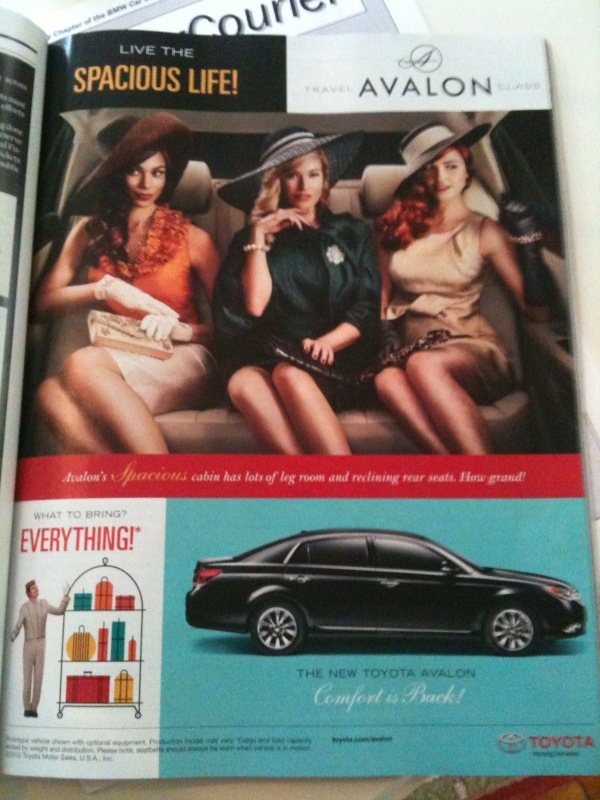 The ad features three very beautiful women looking like they are going to a 1940’s dance at Hollywood’s Brown Derby. There is nothing wrong or particularly great about the ad. I just found it an interesting way to appeal to your consumption target using some subtle sexiness while hearkening back to the youth of the customer in a tasteful way while still communicating the benefits of the vehicle. I was more surprised by a launch site that carried the "Travel Avalon Class" message into a campaign website. Feature content transitions look like something out of MGM's That's Entertainment films. Content rotates to different theatrical stages where features are demonstrated by a host who looks like Ray Liotta and his female product demonstration model. They banter about "the big city", "the big easy", "those are fabulous shoes" and "welcome to the land of stars." It's all a bit cliche but that's the point. This is an attempt to take one back to a time when life was simple and Avalon's customers were young. It really is a nicely done site though the transition between features takes awhile due to the creative assets loading and I do wonder about the patience of site visitors; although, if they do spend some time with the content it really is effective at explaining some very complex feature benefits that most site probably have an issue getting across to older customers. The Bluetooth and Navigation demonstrations are particularly effective here. Hopefully site visitors will notice the small font of the lower navigation so they can Build & Price and learn more.